CANNES — Tim Berners-Lee, inventor of the web, said, "To be part of the business world, you need to put data out there" as he envisaged a future where artificial intelligence drives the decisions in major corporations. Speaking at Cannes Lions this week, Tim Berners-Lee outlined his view on artificial intelligence as media agency PHD launches its book Sentience: The Coming AI Revolution and the Implications for Marketing. Marketing has published an exclusive extract from the book today. 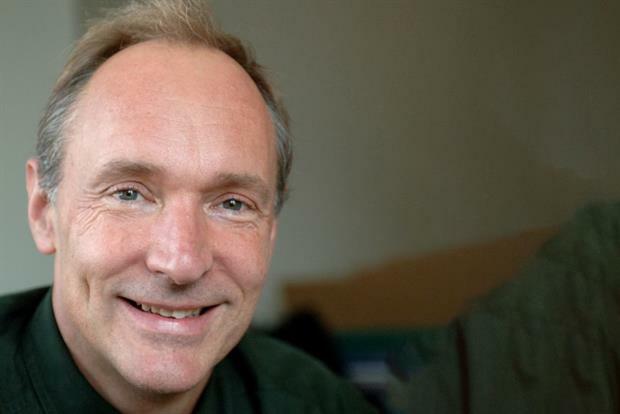 Berners-Lee shot down the usual view of physical robots running the world, positing instead that artificial intelligence will actually comprise businesses driven by algorithmic decisions as data becomes free and open to use. He envisaged robot holding companies that could move and make investment decisions based on data and algorithms — and without human input. But he warned that businesses would be left behind unless they started actively putting data out onto the web, as a step up from simply creating web pages to push products. He said: "If you were selling products 26 years ago, you had to create a web page. But having a website may not be enough, you have to have data out there. "You need data on product announcements so that Gmail knows when to tell a delivery time to a user. Google Mail will now look and keep track of that order and when [it is] turning up." He added: "To be part the business world you need to put data out there and it will not be for the user but to the user’s agent." Berners-Lee was positive about open data and AI's impact on business on society, particularly in health and wellbeing. But he warned that there was a "red line." That, for Berners-Lee, is ensuring that robots and AI do not end up with the same legal rights as human beings — and that's the point humans may need to step back. This article first appeared on marketingmagazine.co.uk. What happens when the machines awake?